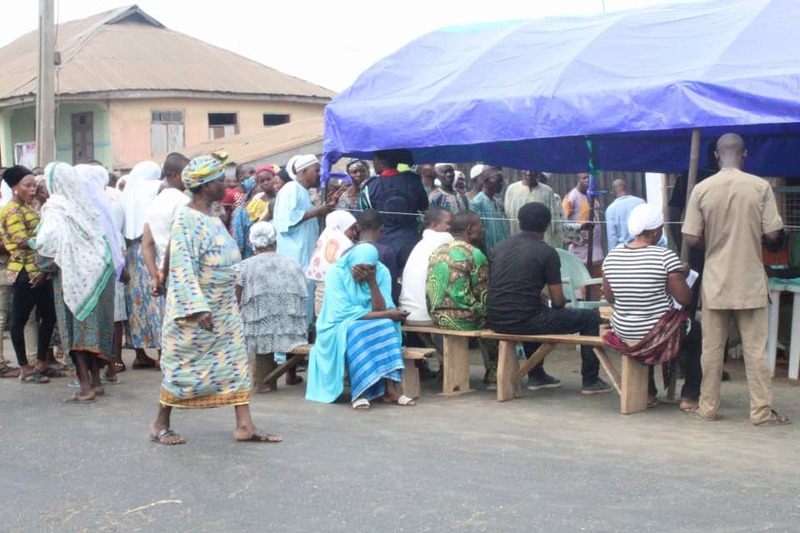 The Independent National Electoral Commission (INEC) on Saturday, February 23, announced that it would extend voting time in various polling units. Speaking at a press briefing in Abuja, the national commissioner in charge of information and voter education committee, Mr Festus Okoye, said the time of voting will be extended by hours lost before accreditation and voting. Okoye said in areas where polling failed to open by 8am, the commission has approved an extension by hours lost. Stating that the commission has anticipated some hiccups, the Okoye said INEC is on top of the situation and hence no need for panic. He said for instance, in any of the states where polls open at 9 o’clock, there will be an extension of one hour. “We are in touch with all the Resident Electoral Commissioners and the electoral officers in all the locals government areas, some of these challenges are due to security some are due to late arrival of electoral materials but all these challenges are being addressed,” Okoye said.